The gallery is open Tuesday - Friday, 11.00 - 14.30 and by appointment. An exhibition of black and white photographs taken by Adler of Basquiat, the apartment they shared and the work he produced there. The neighbourhood is New York’s Lower East Side. The pioneers are Alexis Adler, a young scientist and Jean Micheal Basquiat who at that moment, 1979 - 1980, was transitioning from the street artist SAMO © and from text, to text and image and ultimately to an artist with a studio practice. Apartment F8 was shared by Adler and Basquiat from the middle of 1979 shortly after they met in one of the clubs that made up the landscape of the Lower East Side. By day, the downtown streets were depopulated, the buildings abandoned by landlords and stripped of utilities, had been taken over by artists, musicians, drug addicts and those on the fringes of society. At night friends met at each others squatted homes before heading to sites such as The Mudd Club, TV Party, Club 57… it was these streets that afforded artist’s freedom, providing inspiration and impacting on the art produced, not just by Basquiat, but by others living that New York moment. Before becoming friends Adler had been taking photographs of bands and performers in downtown clubs but extended this practice to the apartment and Basquiat when they moved in together. The exhibition at ROKEBY consists of a selection of black and white photographs, and colour slides, taken by Adler of Basquiat, the apartment and the work he produced there. 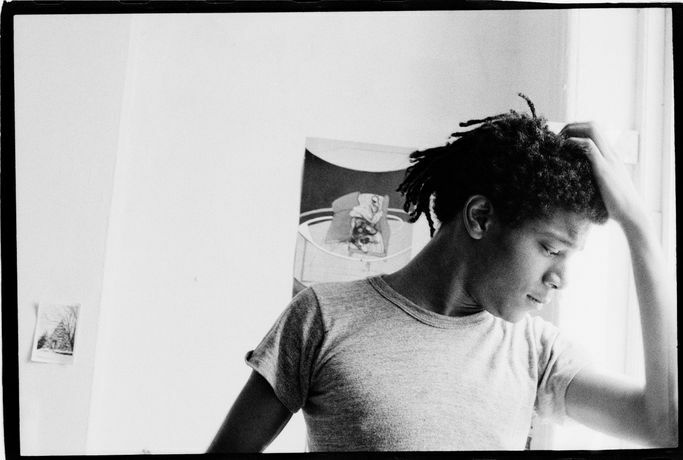 The images explore Basquiat’s artistic process prior to having his first studio (2) and document how the street and downtown New York influenced and made its way into Basquiat’s art. 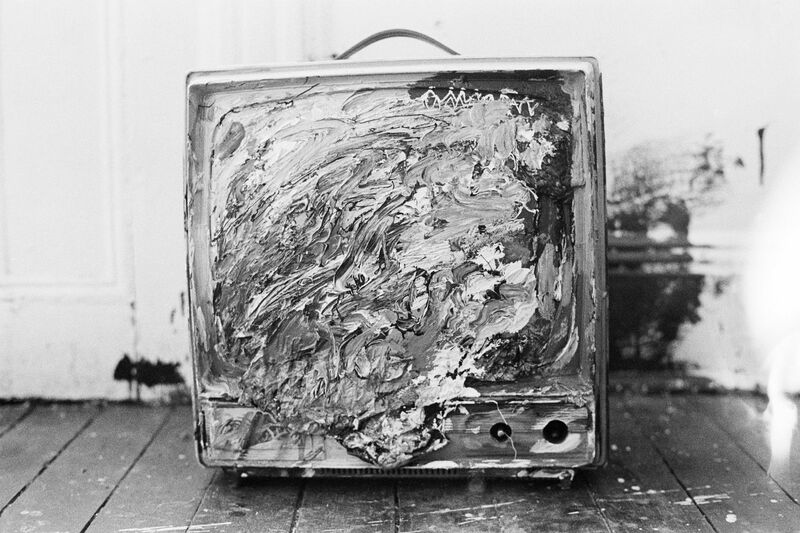 Within the apartment he created sculpture from elements bought in from the streets and painted on the floor, doors, walls, television, radiator covers and the refrigerator. In instances Basquiat directed what should be photographed and invited Adler to collaborate; in these photographs we see Basquiat as performance artist using the apartment as an experimental stage. The images are intimate documents of a nineteen/twenty year old artist exploring processes and materials, his personal urban reality and the particular moment in time. The importance to the artist’s immediate surroundings and his external world - popular culture, t.v., contemporary politics, advertising, music - can be seen in the photographs taken by Alder, as can the performative and immersive aspect of his practice. Whilst they also provide an insight into more personal, internal world and for example his command of art history and literature - a reproduction of a Francis Bacon print pinned to the wall, a copy of William Burrough’s Naked Lunch - they afford an intimate portrait of a young artist and a moment in - universal and art historical - time. Basquiat: East 12th Street, 1979-1980 coincides with Basquiat: Boom for Real at The Barbican.